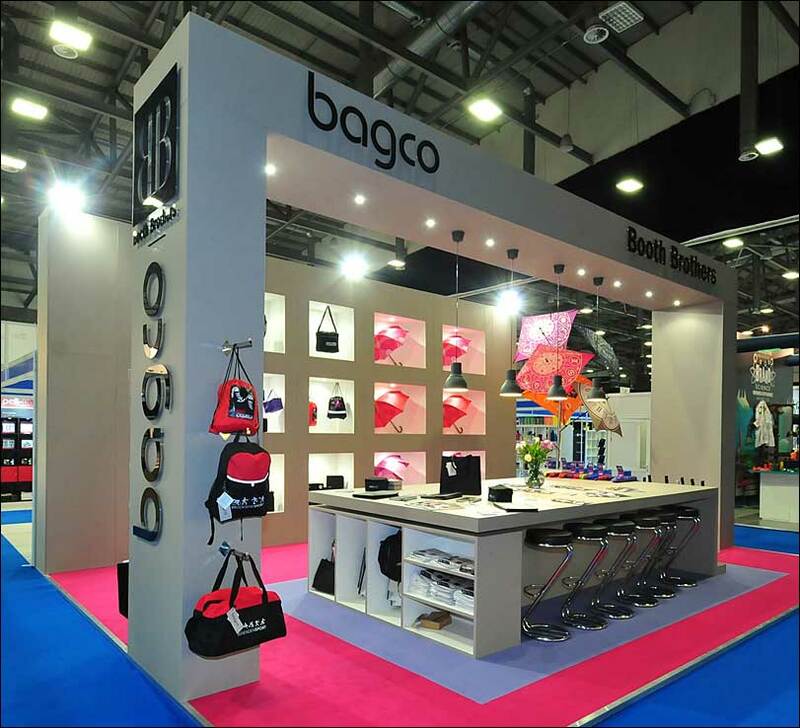 bagco decided they wanted to step up their game with their exhibition display stands, after we had been fulfilling their needs for a number of years. 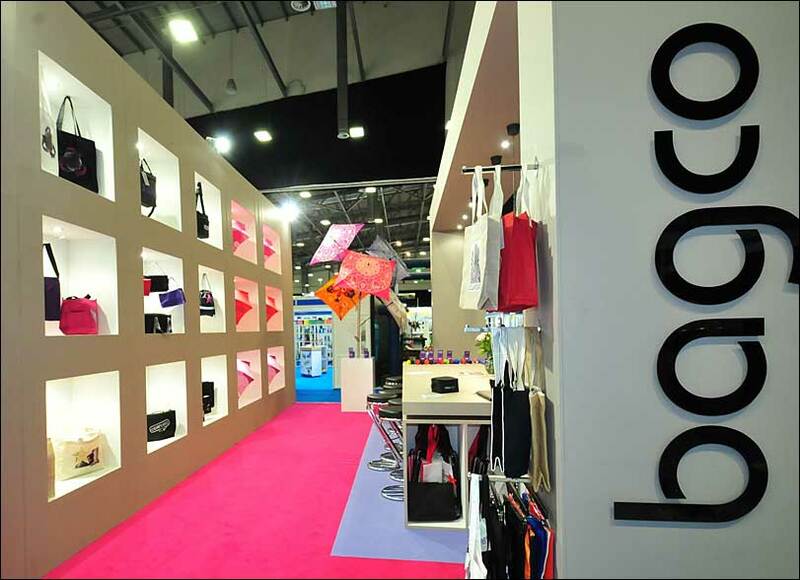 We rose to the challenge to create a contemporary looking stand with feature walling to display their product range. 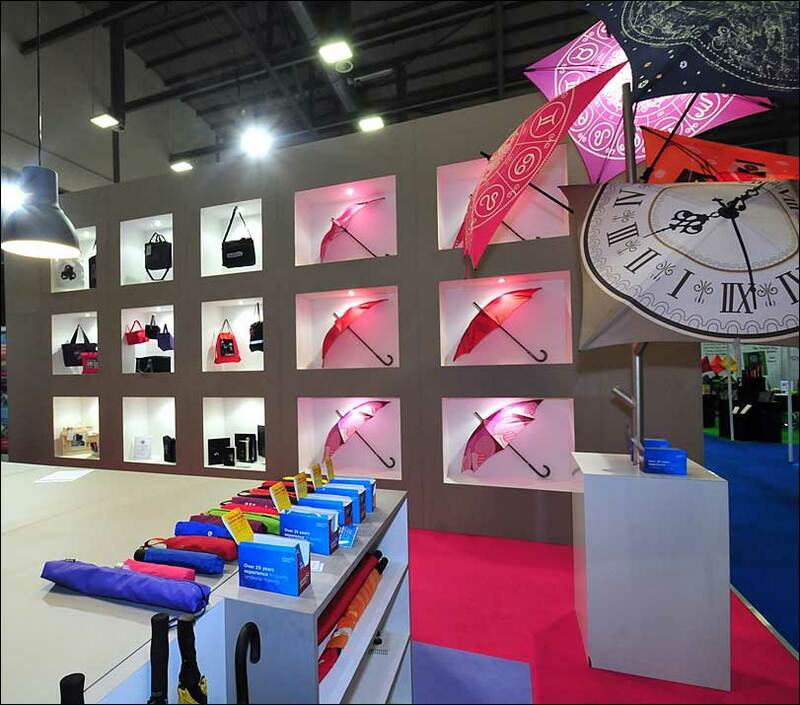 The main feature to gain interest and interaction on the stand was a large workbench area, where visitors could brainstorm with samples and touch and feel the products.